Brooke Brooks joined our Riverside office in 2017. 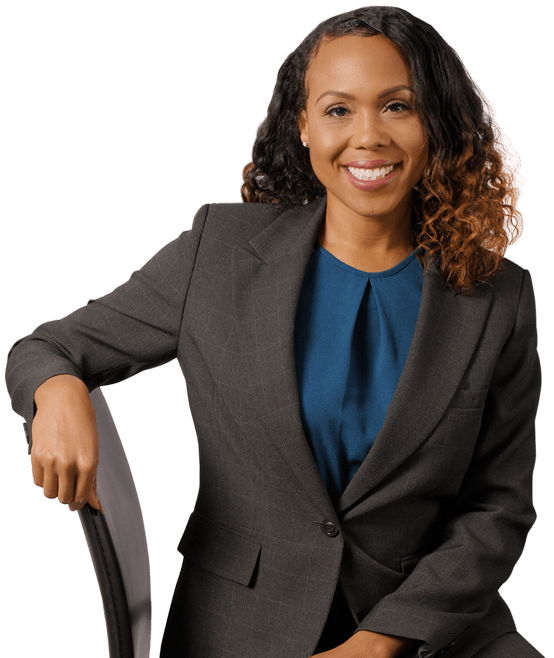 Prior to attending law school, Brooke received her Bachelor of Arts degree from Oakwood University, where she majored in English with a minor in history and Spanish. She joined the Air Force in 2005, where she continues to serve as a Reservist to this day. Brooke received her J.D. from William & Mary School of Law in 2009. During her time at W&M, she was a trial team competitor and wrote on to the Journal of Women and the Law. Brooke also interned for the Virginia Office of the Attorney General, Virginia Court of Appeals, the Richmond Commonwealth’s Attorney, and the Joint Base Langley-Eustis legal office. Upon graduation and being admitted to the Virginia Bar, Brooke became a Judge Advocate General (JAG). As a JAG officer, Brooke’s service has varied, including acting as a prosecutor in military courts-martial, defense attorney in administrative trials, Special Victims’ Counsel, legal advisor to a member of the Joint Chiefs of Staff, and advocate for airmen facing involuntary medical retirement or discharge.